Right-wing militants use Facebook to find interfaith pairs - and encourage followers to "hunt down" the men. Ramiz and Lisa, whose last names are used due to a Facebook threat against Muslim and Hindu couples. KOLKATA, India: The 21-year-old Hindu college student was having a quiet breakfast with her mother when her phone pinged with a terrifying message. Her name was on a hit list. She and her Muslim boyfriend had been targeted publicly on Facebook along with about 100 interfaith couples - each of them Muslim men and their Hindu girlfriends. She immediately called her boyfriend to warn him. The Facebook post included instructions: "This is a list of girls who have become victims of love jihad. We urge all Hindu lions to find and hunt down all the men mentioned here." At least two followers heeded the call. The phrase "love jihad" is meant to inflame dark fears that Muslim men who woo Hindu women might be trying to convert them to Islam - a prejudice that the Hindu right has tried to stoke for nearly a decade. But use of the term has spread on social media with the rise of the Hindu nationalist party of Prime Minister Narendra Modi, at a time when religious hatred is growing on Facebook in India, its largest market. Facebook is facing rampant criticism that hate speech spread on the platform has fueled ethnic and religious violence in Asia, in places such as Myanmar and Sri Lanka. During his appearances before Congress April 10-11, Facebook chief executive Mark Zuckerberg said the company was "working" on a way to remove hate speech within 24 hours of its appearance and adding dozens of new Myanmar-language content monitors. "It's clear now we didn't do enough" to prevent the platform from being "used for harm," Zuckerberg said in his statement. But the company has said little about its prevention efforts in India, its largest market of more than 240 million users. 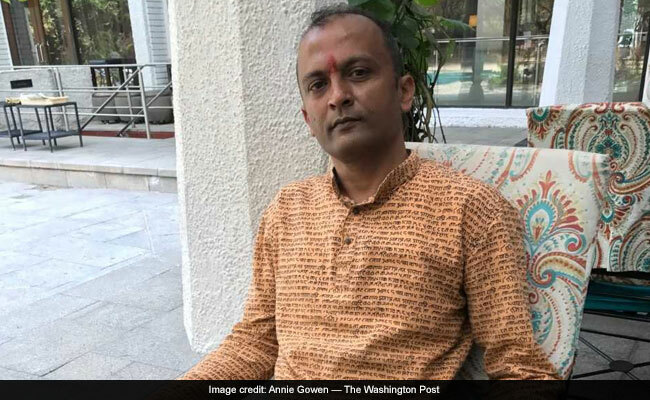 The list of Hindu-Muslim couples was posted by Satish Mylavarapu, a mild-looking sales and marketing manager in Bangalore who propagates militant Hinduism to thousands of followers in Facebook groups and elsewhere. "It's a matter of Muslims taking over our blood and taking over our wombs - the wombs that would give Hindu children," he said. Highly motivated Hindu extremist "volunteers" across India assembled the list by meticulously plotting the locations of mosques and girls schools and colleges around the country and combing young women's profiles for photos or posts that would link them with Muslim men. "You cannot defend such a sick love," Mylavarapu said. "This too is a kind of terrorism." The young couple's romance began in the online space that would be its unraveling. They met in 2016 through a student Facebook group for the Communist Party, which is active in some parts of India. He was immediately enchanted by her blue eyes - contact lenses - and her earrings - silver circles with a likeness of Che Guevara that she made herself. 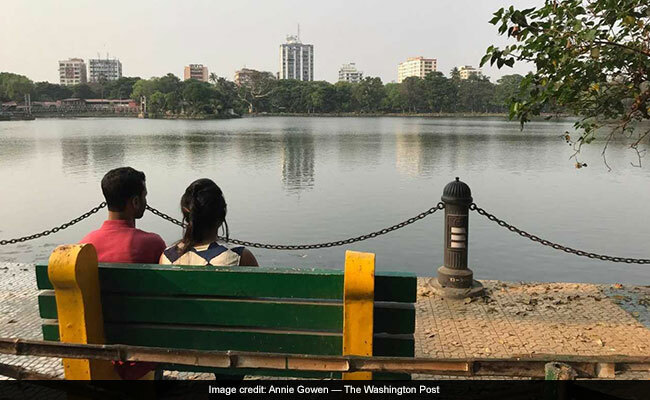 Their relationship soon blossomed in real life, and they met in Kolkata's tea stalls or along its lovers' riverbank promenade, Prinsep Ghat, holding hands and even kissing. "We don't believe in religion. We believe in humanity," said Ramiz, a 26-year-old English honors student, sitting in a coffee shop with his girlfriend at his side. "So there is no question of conversion." Because of the threat, Ramiz asked to be identified by only his first name and his girlfriend by her family nickname, Lisa. 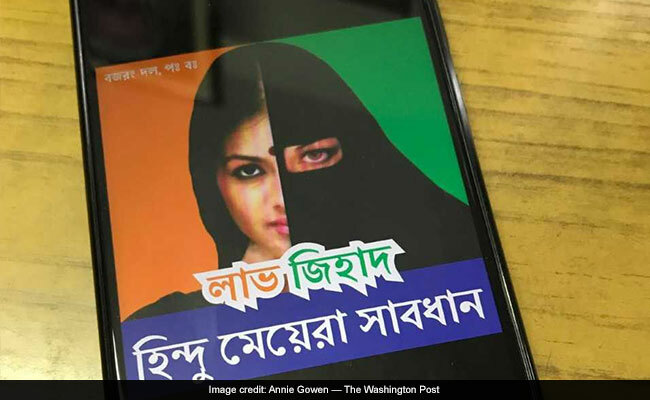 A WhatsApp message on the phone of a activist in Eastern city of Kolkata warns of "love jihad"
Yet tension was unavoidable in a deeply traditional society riven by caste and religion. His parents, a clerk and a social worker, grudgingly accepted their relationship, although they made it clear they prefer a Muslim daughter-in-law; Lisa's mother lent her support only if Ramiz gets a good job. Meanwhile, conservative Hindu groups supporting Modi's powerful Bharatiya Janata Party began pushing into areas in India's east and south traditionally dominated by other languages and regional parties, including the couple's home state of West Bengal. In recent days, West Bengal has been roiled by riots between Hindus and Muslims that followed sword-waving devotees marching in honor of Lord Ram - a Hindu deity who is not normally worshiped in the region. At least four people died. The couple, upset over the perceived threat that the Facebook hit list posed to India's secular ideals, filed a complaint with the Kolkata police's cyber division in February, saying they had been subjected to death threats. "This has never happened in West Bengal," Ramiz said. "Bengal is very beautiful - our society, our culture. This is the place of poets. We don't believe in this kind of thing." Facebook took down Mylavarapu's threat page a few days after his Jan. 28 post caused an uproar on social media, but took longer to track and remove hundreds of duplicate versions posted by others. Civil society groups have charged that Facebook has not acted quickly enough in such instances to curb the hate speech that inflamed tensions throughout Asia, including Muslim-Buddhist riots in Sri Lanka and Myanmar's exodus of more than 850,000 Rohingya Muslims into Bangladesh. Facebook was dubbed the "beast" in that crisis by a United Nations monitor. In India, a March study by the Observer Research Foundation, a think tank based in New Delhi, showed that religion is increasingly used as a basis of hate speech on Facebook, a jump of 19 to 30 percent between 2016 and 2017. "I don't think Facebook has a clue how to monitor hate speech," said Maya Mirchandani, a senior fellow who co-wrote the study. She said that more proactive text monitoring systems are not in place, including among its rapidly growing non-English speaking audiences. "Maintaining a safe community for people to connect and share on Facebook is absolutely critical to us," a Facebook spokesman said in a statement. "We have policies that prohibit hate speech and credible threats of harm, and we will remove this content when we're made aware of it." About two weeks after they filed the police report, Ramiz said he was coming home in the evening when two men grabbed him, roughed him up and tore his shirt collar. "Why did you report us?" they hissed, he said. And, "why are you dating a Hindu girl?" Ironically, the couple have been dealing with relationship problems in the new year; Lisa, who works part time at an event management company, wanted Ramiz to get a job, saying he was spending too much time smoking and talking politics with his friends. "She wants somebody perfect, perfect, and I am not," he said. "We're still very good friends," Lisa said. "I'm not sure if we're in a relationship at the moment." Satish Mylavarapu, a Hindu activist who has campaigned against "love jihad". This was the type of tension that Mylavarapu had hoped to provoke when he posted the list of names. He has been using Facebook to promote an extremist Hindu agenda since 2012, according to the Indian data and fact-checking website Boom Live. Before Mylavarapu was banned from Facebook "indefinitely" in February, he was the administrator of at least two Facebook pages, including "Extreme Hinduism - The Only Way of Survival" (11,000 members), and a member of "Rearming Hinduism" (156,000 members), the Boom analysis showed. He remains active on Twitter. He said in one post his favorite boots are made of "pure sunni skin," a reference to the Sunni branch of Islam. In another, he urged Hindus to keep swords in their homes for protection and practice killing goats and chickens to get used to the sight of blood. He warns of "love jihad," which until recently had been generally thought of as fearmongering and given little credence by police and courts. But the idea that Muslims may be actively working to convert Hindus figured prominently in the recent debate over the case of a woman in the southern state of Kerala who converted to Islam and married a Muslim over the objections of her family. On March 8, India's Supreme Court upheld the woman's right to choose her faith and partner. But India's National Investigation Agency, which investigates and prosecutes terrorism, is continuing its investigation into the case, saying it has seen an "organized effort" by Muslim activists linked to the Islamic State to convert Hindus, a spokesman said. Mylavarapu is associated with a fringe Hindu group called Akhil Bharatiya Hindu Mahasabha, whose members revere the assassin of Mohandas "Mahatma" Gandhi, whom they blame for the bloody 1947 partition that created the nations of India and Pakistan. "He's a staunch Hindu and he's functioning because of our support," said the group's state president, N. Subramanya Raju. "If there is any threat from a jihadi, we will protect his life." Mylavarapu said volunteers are continuing their online research into Hindu-Muslim couples - and will hold on to the data they find until the next good opportunity. He said many of those on the original list have already split up. Mylavarapu said he relishes the demise of these relationships. "We succeeded," he said in a tweet. "Their deceptive love could not withstand the pressure we created."